"I worked on nothing as assiduously during this Diet as on the freedom of writing and printing." 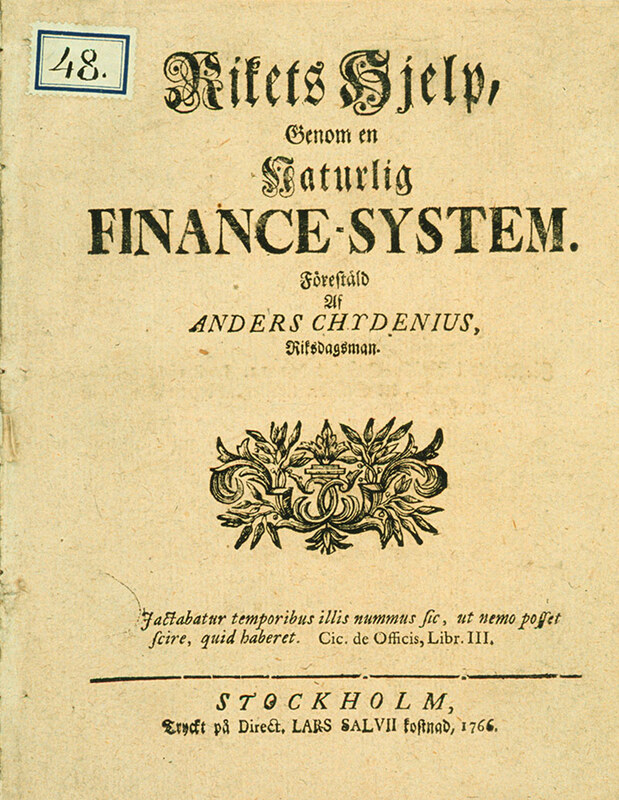 Anders Chydenius was born in Sotkamo in 1729. He grew up in Kuusamo, where his father Jakob Chydenius worked as vicar from 1734. Anders first received private schooling, as was customary in those days, and later went to school in Oulu and Tornio. He completed university studies in Turku and Uppsala, focusing on mathematics, natural sciences, Latin, theology, and philosophy. 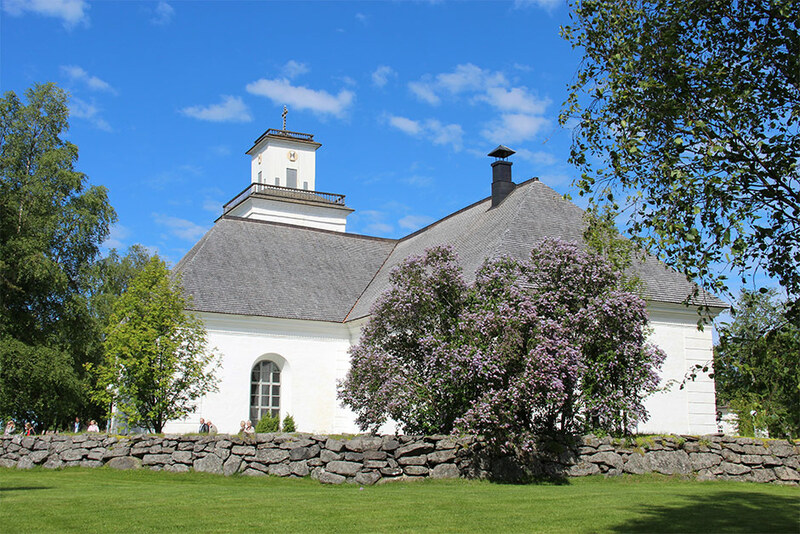 Per Fjällströmin maalaus vuodelta 1770, Alavetelin kirkko. 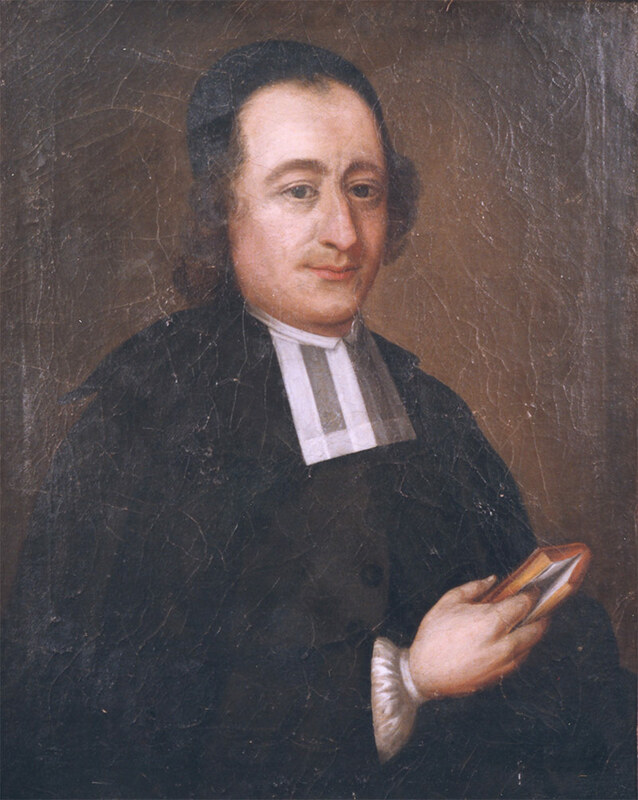 After his graduation in 1753, Chydenius was appointed as preacher in the parish of Alaveteli, Ostrobothnia. In 1755 he married Beata Magdalena Mellberg, the daughter of a merchant in Pietarsaari; their marriage remained childless. Chydenius was a genuine representative of the Age of Utility. He tried to enlighten peasants through his own example: he cleared swamps, experimented with new animal breeds and plant species, and introduced new cultivation methods. Moreover, he started to write on these topics. Chydenius also made an effort to apply the achievements of medicine: he was a pioneer in the fight against smallpox. Chydenius osallistui Ruotsin tiedeakatemian järjestämään kirjoituskilpailuun hevoskärryjen parantamisesta. 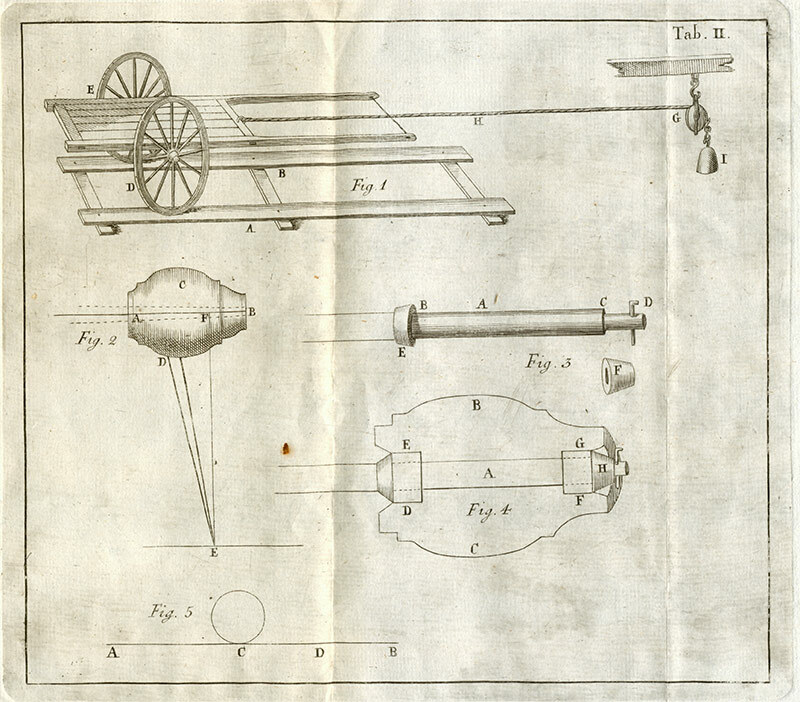 Chydenius oli opiskellut mekaniikkaa ja perusteli kärrykirjoituksessaan ehdotuksensa myös teoreettisesti. In the early 1760s, Chydenius began to write on societal issues. 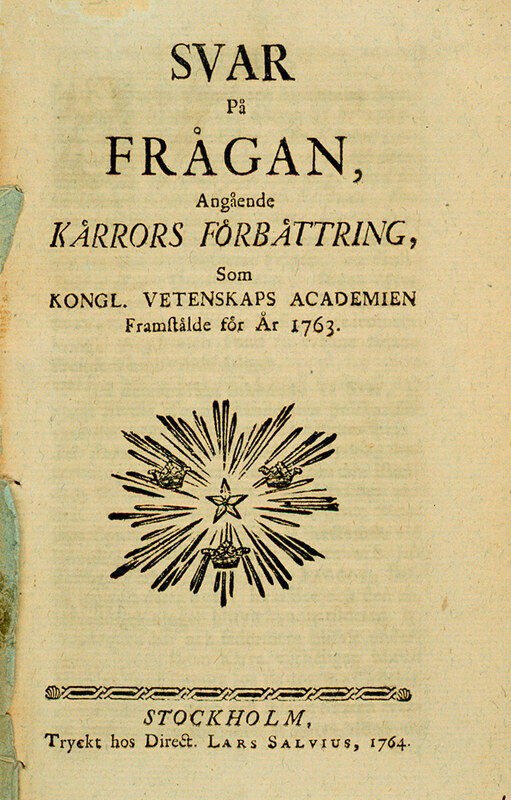 He was dispatched to the Diet in Stockholm for 1765–66 to claim the right to free foreign trade for the towns of Ostrobothnia. Mercantilist restrictions on foreign trade were finally abolished, which played a significant role in the later development of the coastal towns of the Gulf of Bothnia and the whole region. During this initial visit to the Diet, Chydenius was very active. He published several articles criticising economic policy based on regulations, limits and monopolies. Among these texts, which caused a great stir, the best known was The National Gain. Chydenius himself clashed with the restrictions on freedom of speech that he so fervently opposed. His monetary policy article criticising a decision made by the estates finally led to his expulsion from the Diet. In 1778–79 and 1792, however, Chydenius again attended the Diet. He strongly defended the human rights of servants and advocated for a free labour market. 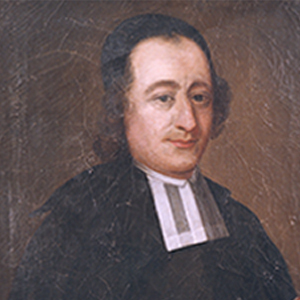 Chydenius was also a pioneer in advocating for religious freedom: he defended the right of non-Lutheran Christian and Jewish immigrants to exercise their religion. From 1770 Chydenius served as vicar in Kokkola, regarding his parish work as his principal responsibility. He also excelled as a sermon writer and was active in the city’s musical life: his own orchestra gave concerts in the salon of the vicarage. 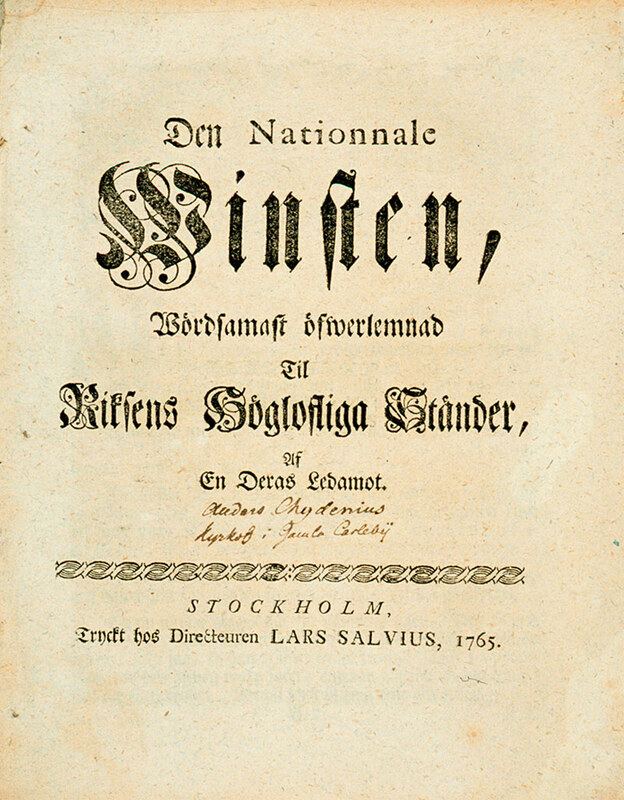 Chydenius’ literary activities continued, and he wrote on such topics as the development of agriculture, saltpetre burning, smallpox vaccination, and the settlement of Lapland. In his last years, he was also involved in various building projects and, for instance, led the extension of the old parish church. Chydenius died in 1803.